Did you know that the Escape is Ford’s second-best-selling model, right after the F-Series pickup truck? 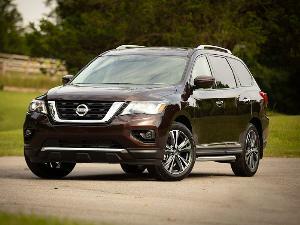 It was also the first hybrid SUV as well, when an available gas-electric powertrain debuted in 2005. Now for 2020, the Escape small SUV has a whole new look and loads of new technology — and even more importantly, the hybrid (actually, two hybrids!) is coming back. We had a chance to visit the Ford Design Center in Southern California for a sneak preview. 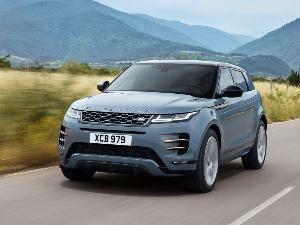 Its alluring new design was impressive upon first sight and marked a huge departure from the current model. Lower to the ground and more car-like, the 2020 Escape may not look big or bulky enough to be a traditional crossover, but that was the point. This is the largest segment in the automotive landscape, and Ford identified 22 competitors for the Escape. With that kind of competition, Ford wanted the Escape to stand out, and it does — in a great way. We think its styling is very European and we love the new signature color: a rich, jewel-like teal called Persian Green. 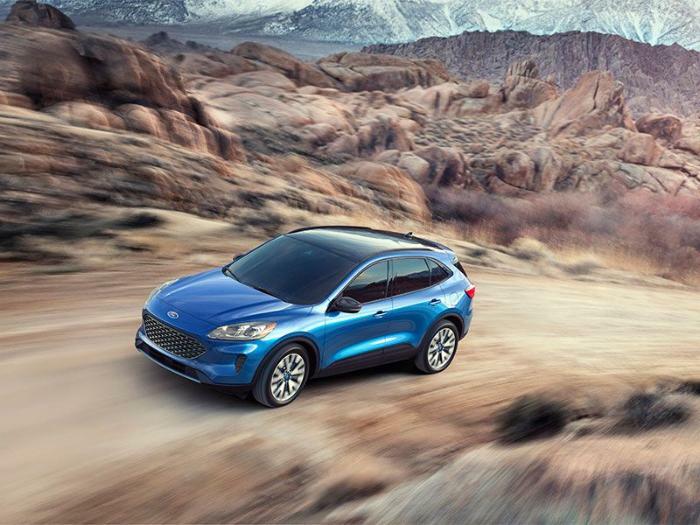 For 2020, the Escape will be available with four different powertrains. The first, a base 1.5-liter EcoBoost turbocharged three-cylinder engine, will be available in three trims — S, SE, and SEL. Stepping up to the 2.0-liter EcoBoost model will feature a four-cylinder engine, which will be available in the SEL and the very top Titanium trim. 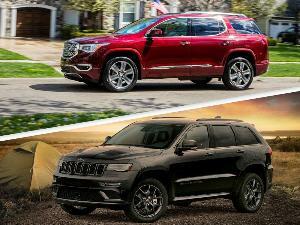 Then, the hybrid returns (a 2.5-liter four-cylinder) in an SE Sport trim and the Titanium. And finally, a new Escape plug-in hybrid electric vehicle (PHEV) will also be available in the SE, SEL and Titanium trims. 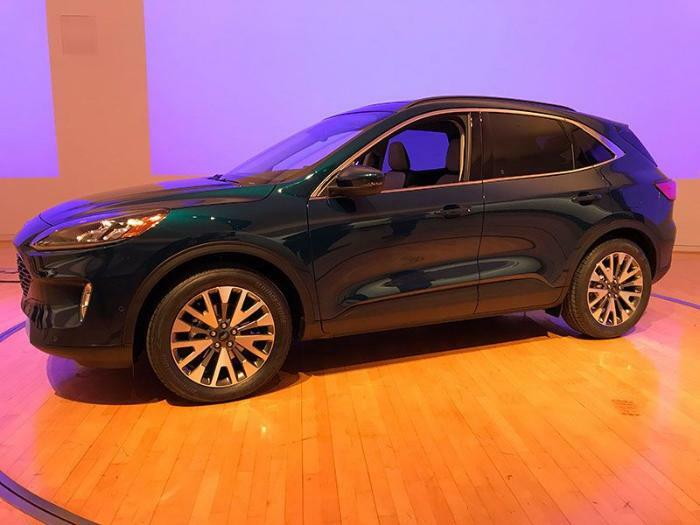 Pricing has not yet been released, but details will be available closer to its on-sale date coming this fall (PHEV models will go on sale in spring 2020). 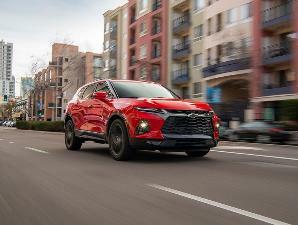 Upon the first look at the 2020 Escape, you might think that it has shrunk — and you’d be right. It’s just a few inches shorter, but surprisingly, there’s more interior room than ever in the new model. Even with the vehicle height being lower, headroom has been increased in the new Escape. Shoulder and hip room have also improved over the current model. One of our favorite new features in the gas-powered Escape is the sliding second row. 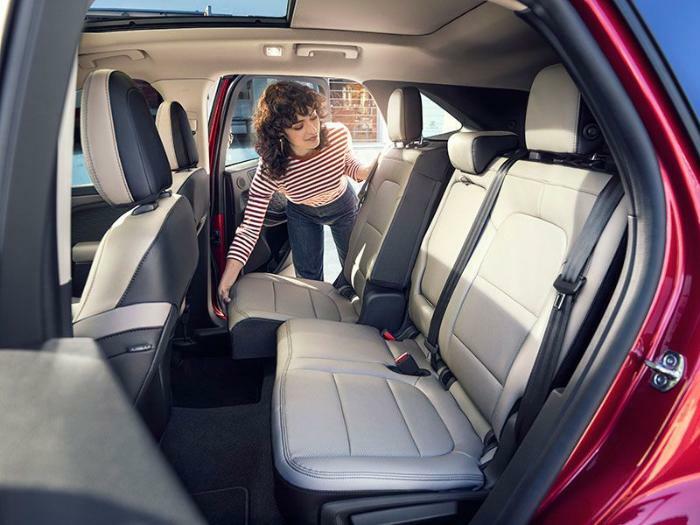 The second-row seats can slide back a full 6 inches to provide more legroom for backseat passengers, and Ford tells us that’s even more legroom than you’ll find in a full-sized SUV like the Chevy Suburban. If more cargo space is needed, the second row can slide forward 6 inches to accommodate a larger load — such as four sets of golf clubs, or even a full-sized dog crate. Interior space is not sacrificed on hybrid models, either. The new battery is one-third the size of the old Escape Hybrid's battery (approximately the size of a briefcase) and is housed underneath the rear seat to avoid interfering with cargo area capacity. 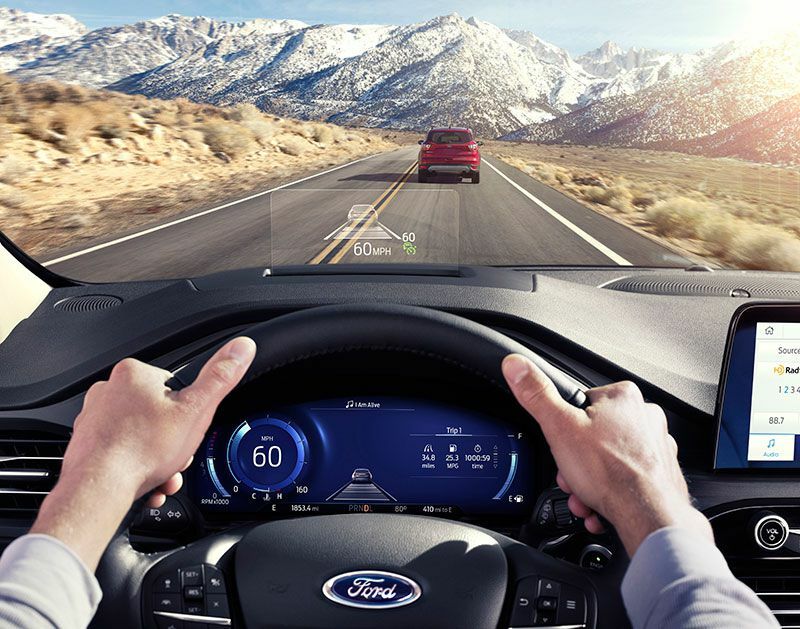 Keeping the new Escape very competitive, Ford is making its Co-Pilot360 advanced safety suite of technology standard on all models. 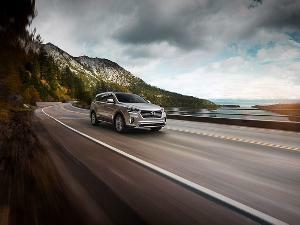 Features like blind-spot monitoring, cross traffic alerts, automatic emergency braking, and lane-keep assist will come on each model, and upgrades like a head-up display and adaptive cruise control will be available. 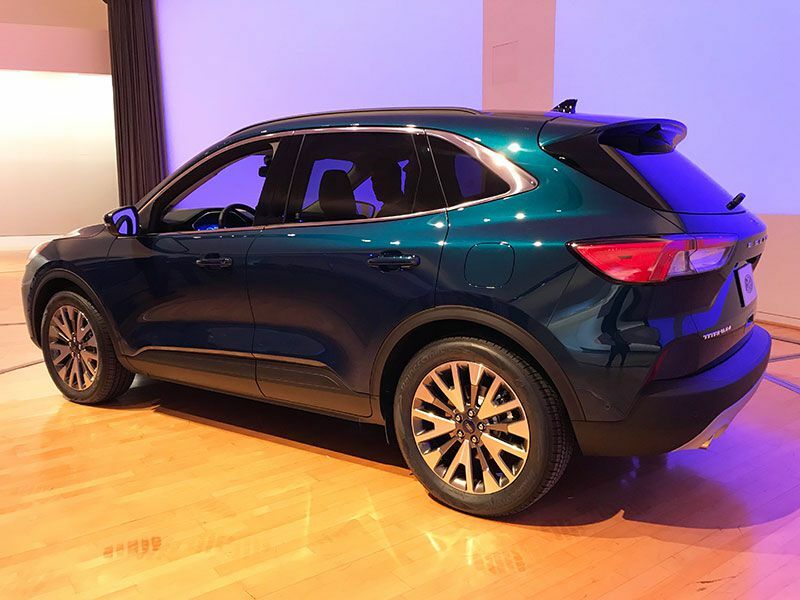 From the driver’s seat, the 2020 Escape will look especially different — thanks to an 8-inch color touchscreen and an available 12.3-inch digital instrument panel that displays brilliant and animated graphics. Depending on your drive mode, you may see an expansive mountain view, a cluster of green leaves, or a checkered racing flag to identify the mode you’re in. The cockpit is quite advanced and seems to be unrivaled in this segment. Keeping up with the tech offerings, the Escape will also feature a wireless charging pad, Type A and C USB ports, and Ford’s SYNC 3 infotainment system with Ford+Alexa and Waze navigation. Apple CarPlay and Android Auto smartphone integration are also available, as well as a 4G LTE hotspot for up to 10 mobile devices. Get a closer look at the 2020 Ford Escape in our First Look Video on YouTube.